Scott E. Friedman is the Managing Partner of Lippes Mathias Wexler Friedman LLP, a law firm in Buffalo, New York, where he works closely with funds, fund managers, investors, companies and entrepreneurs across a variety of industries and sectors. He has extensive experience in the venture capital and private equity sectors and is a General Partner in Impact Capital, a new fund designed to raise and invest $50 million in innovative new companies in New York State. 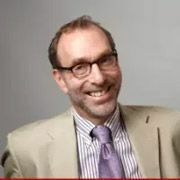 In addition to StimMed, LLC, Mr. Friedman is co-founder and/or board member of various life science companies, including Photolitec, LLC (developing new compounds for diagnostic imaging and photodynamic therapy), Harvest Precision, Inc. (developing proprietary ceramic materials with precision machining), and Endomation, LLC (developing an endovascular surgical robot). He is also the co-founder and manager of various investment partnerships, including Niagara Gorge Venture Partners, LLC, NuMax, LLC and Madison Venture Partners, LLC. Mr. Friedman is the Co-Founder and Executive in Residence: Family Business Center at the University at Buffalo and is the author of numerous articles and seven (7) books, including The Successful Family Business, How to Profit By Forming Your Own Limited Liability Company, How to Run a Family Business (with Mike Friedman, co-author), Secrets from the Delphi Café: Unlocking the Code to Happiness (with Robert E. Rich, Jr., co-author) and Family Business and Positive Psychology. Mr. Friedman is also a frequent speaker on business issues, and has presented at many colleges and universities throughout the country including, Columbia University, University of Southern California, University of California at Los Angeles, the University at Buffalo and Canisius College. Mr. Friedman has also been quoted in a wide variety of publications, including Family Business Magazine, Entrepreneur and Success magazines. Mr. Friedman serves on a number of community boards including Roswell Park Alliance Foundation, Western New York Venture Association, Elmwood Franklin School, Law Enforcement Foundation of WNY, Inc. He received a B.A. from Trinity College, a J.D. from Washington University School of Law, and an LLM from University of Pennsylvania School of Law.